A 1977 graduate of Bridgeport High School, Dave Moore has since 2003 been living with a diagnosis of NASH – nonalcoholic steatohepatitis. Also known as fatty liver disease, the condition is an inflammation of the liver. It’s not as rare as one might think and isn’t necessarily a serious condition. But in Moore’s case, NASH has progressed to dangerous levels and cirrhosis has resulted. Though 30 is the magic number which typically places a victim on a liver transplant list, Moore’s physician is already talking about that course of action. “He wants to put me on the list now because he knows it’s going to get worse and he wants to try to get this done while I’m still relatively healthy,” Moore said. On Feb. 5 and 6, Moore will go before the transplant evaluation committee at the University of Pittsburgh Medical Center. The surgery itself is about an eight-hour operation as the liver is one of the body’s most vascular organs. Moore said his potential new liver could come from a recently deceased organ donor or a living person. A living donor must match blood type and other medical criteria and be of the same general size of the transplant candidate. There are, of course, serious potential risks, including complications caused by bile duct leakage, Moore said. Despite that risk, Moore does have a potential living donor. “Five people have asked to be tested and one has already found out her blood type is O positive and that she’s a potential match. She is bound and determined to be my donor – and she’s a total stranger to me,” he said. There is a connection through Moore’s church – Jewel City Church in Shinnston – where a fundraiser will take place Feb. 17 to help fund Moore’s liver transplant journey. Headed up by Moore’s wife, Amy, and friend Mona Hayes, the event will take place from 11 a.m. through 6 p.m. and include a spaghetti dinner, entertainment by Josh Oldaker, Scotty Beverly and others, and a silent auction featuring items including sports memorabilia from WVU Athletics, defending U.S. Open champion Brooks Koepka – son of Moore’s 1977 BHS classmate Bob Koepka – Pittsburgh Steelers’ Antonio Brown, Curtis Fleming and others. 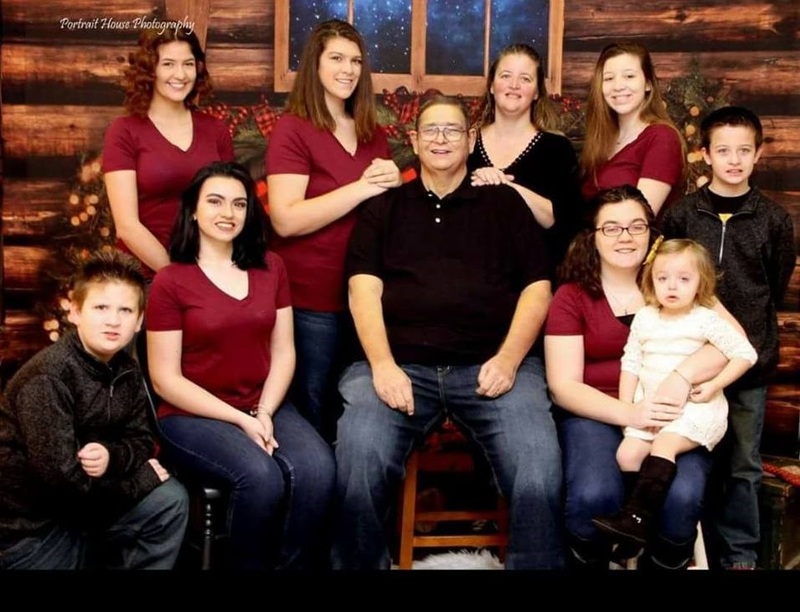 “Dave’s Army” – the name given to his fundraising group – includes his seven children, ages 9 through 24, one granddaughter and many friends and church family members. Anyone wishing to do so may make a donation though Paypal.